Affidavits are factual statements that you must swear to under oath before a notary public. 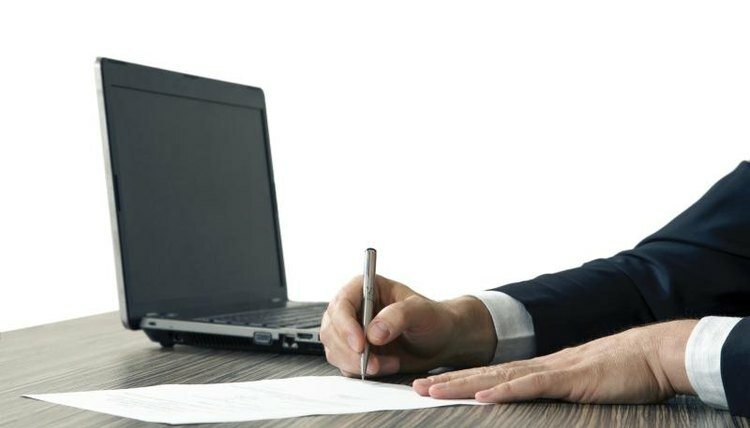 There are many types of affidavits; some are fill-in-the-blank forms that you must sign, such as to confirm your name during the loan application process or to transfer the title of a car. Others require you to write about your first-hand knowledge of facts that are important in a court case. When writing an affidavit, you must focus on the just the facts that you have personal knowledge of in an orderly fashion. Affidavits are often used in hearings where oral testimony is not required or to support a written request to the court, called a motion. For example, motion hearings are common in family court cases when one parent is asking for temporary custody of a child. The parent's attorney could present affidavits from the child's teachers or caregivers. Affidavits are used also in civil and criminal court hearings. For example, a summary judgment motion -- where one party to a lawsuit asks the judge in writing to dismiss the case alleging there is no need for a trial because the evidence is one-sided -- is often supported by an affidavit of the facts in the case. Affidavits can be handwritten in some jurisdictions but must be typed in others. Check your local court's rules to determine if there is a required format you must follow. For instance, federal courts specify that documents must be typed on white paper no larger than 8 1/2 by 11 inches. Some courts dictate that you double space the body of your affidavit and place page numbers at the bottom of each page. If your statement is to be used in a court case, you should place the title -- or case caption -- at the top of the first page. The case caption includes the location of the court, the title and case number of the court case, and the words, "Affidavit of [Your Name]." At the beginning of your affidavit, type a sentence to let the court know you are swearing that the information that follows is true. For example, "I, Jane Doe, do solemnly swear:" Following this oath, introduce yourself and state your relationship to the people involved in the case. Explain how you are in a position to know the facts you are about to describe. For example, a child's teacher could state that she is the fifth-grade teacher of the child involved in a custody case and that she has been in regular contact with the child for six months. Present the facts in a logical and concise manner. Put each fact in a separate paragraph and number the paragraphs. Stick to the pertinent facts and do not include opinions or facts not relevant to the case. Include precise dates, times, names and locations. Avoid misspellings and grammatical or typographical errors. Keep in mind that a judge will be reading your affidavit, so use proper language and avoid slang terms. You must sign your affidavit in the presence of a notary public or another person authorized to administer oaths. Law offices and banks usually have notaries on staff, and there might be a small fee. Lying in an affidavit may be prosecuted as perjury or making a false statement -- the punishment varies by jurisdiction, but you could face a fine or jail time. Stevens, Valerie. "How to Write an Affidavit." , https://legalbeagle.com/2131994-write-an-affidavit.html. Accessed 21 April 2019.